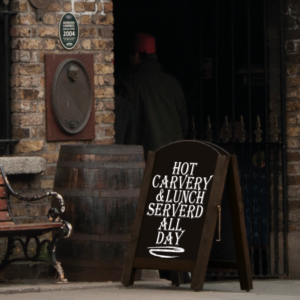 Our Iconic high impacting heavy duty forecourt/pavement sign is a real robust display sign. 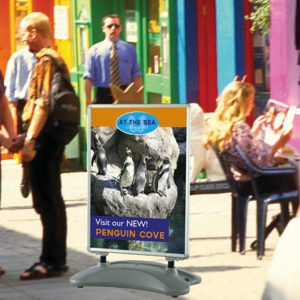 This forecourt/pavement sign offers a quick poster change and comes with wheels in the base for ease of mobility. It can accommodate an A1 size poster which we recommend printing to be done on our pvc, allowing you to re-use your posters again as the are hard wearing and weather resistant. Place your order online or contact us. 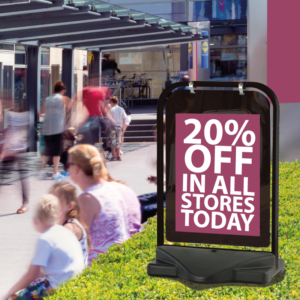 On ordering your Icon Pavement Sign you have the option of selecting your posters, we recommend printing your posters on PVC as they will be more durable and weather resistant.